Asian stocks rose on Friday as reports of progress in U.S.-China trade talks as well as stronger than expected economic data from the U.S. helped ease global growth worries. China’s Shanghai Composite Index jumped 36.37 points or 1.4 percent to 2,596.01 ahead of China’s fourth-quarter GDP data due on Monday. Hong Kong’s Hang Seng Index surged up 335.18 points or 1.3 percent to 27,090.81. 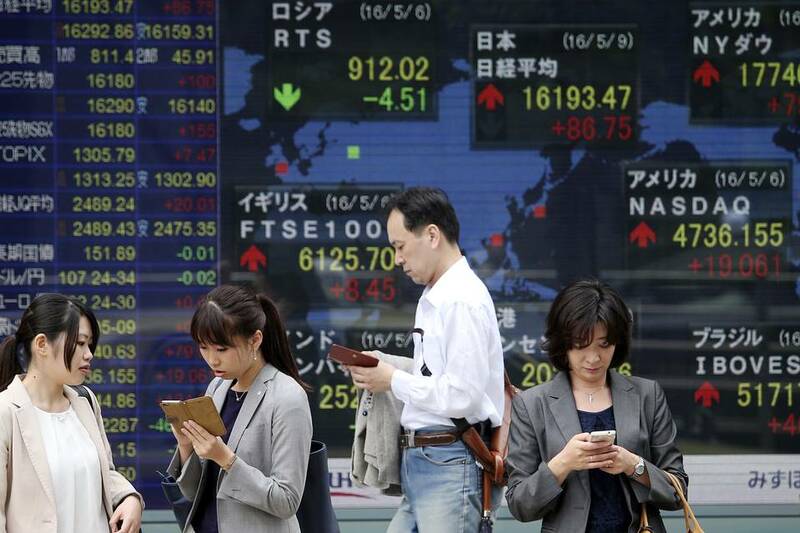 Japanese shares closed higher as the yen weakened on improved risk appetite after a report the U.S. could lift trade tariffs on China. The benchmark Nikkei 225 Index rallied 263.80 points or 1.3 percent to 20,666.07, while the broader Topix finished higher by 14.39 points or 0.9 percent at 1,557.59. Exporters surged, with Canon, Nissan Motor, Panasonic and Sony rising between 0.7 percent and 1.3 percent. In the tech sector, Tokyo Electron soared 3.8 percent and Advantest surged 1.9 percent. In economic news, the Ministry of Internal Affairs and Communications said that overall consumer prices in Japan rose an annual 0.3 percent in December, in line with expectations. Australian stocks hit over two-month highs, with banks and material stocks gaining ground on hopes of easing U.S.-China trade tensions. The benchmark S&P/ASX 200 Index rose 29.50 points or 0.5 percent to 5,879.60, extending gains for the fourth straight session. The broader All Ordinaries Index ended up 31.40 points or 0.5 percent at 5,941.20. The big four banks rose between 0.3 percent and 0.6 percent. Mining giant Rio Tinto edged up 0.3 percent after it flagged a rise in Pilbara iron ore exports this year. BHP, which will unveil its second quarter production figures next week, advanced 0.7 percent. Payment service provider Afterpay Touch Group soared 13 percent after its first-half global underlying sales jumped 240 percent. Language tech company Appen climbed 5 percent. Seoul stocks closed higher for the fourth consecutive session on optimism for progress in the U.S.-China trade dispute. The benchmark Kospi climbed 17.22 points or 0.8 percent to 2,124.28 after a report suggested U.S. Treasury Secretary Steven Mnuchin has discussed lifting some or all tariffs imposed on Chinese imports to secure a beneficial long-term trade deal with Beijing. Automakers led the surge after the government presented its hydrogen economy plan featuring fuel cell electric vehicles. Hyundai Motor rose 1.2 percent and Hyundai Mobis added 1.5 percent.